One partial exception to this proposition is the life and the art of the film director, George Stevens, who along with four other American directors enlisted in the armed forces with the intent of producing films that would help sell the war to the American public. According to Mark Harris in his immensely informative Five Came Back: The Story of Hollywood and the Second World War, Stevens, who prior to the war had directed romantic comedies and light-hearted adventures, confronted some of the most horrific scenes to emerge from the war. As the commander of the Special Coverage Unit of the Army Pictorial Service, he crossed through the gates of Dachau. 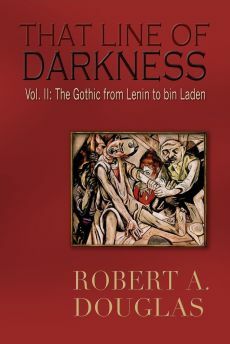 Stunned and sickened, he walked amid the corpses and skeletal survivors, compulsively shooting film that would be used as evidence during the Nuremberg trials. Stevens, haunted by what he had seen and filmed at Dachau, struggled to find inspiration, never directing another comedy. 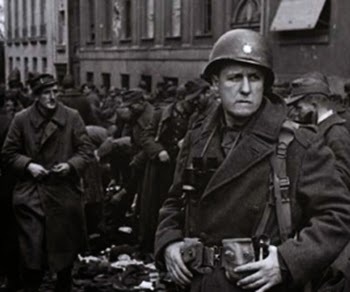 His colleague, Frank Capra, later remarked: “The films he took of Dachau, the ovens, and the big, big piles of bones that nobody could believe existed… He had seen too much.” Stevens did suffer what was then called battle fatigue. Shaken and demoralized when he returned home, he kept to himself, drank heavily, and didn’t work for several years. In the 1950s he re-emerged as the director of large-scale productions: A Place in the Sun, Shane, Giant, and most significantly for our purposes, his 1959 The Diary of Anne Frank. 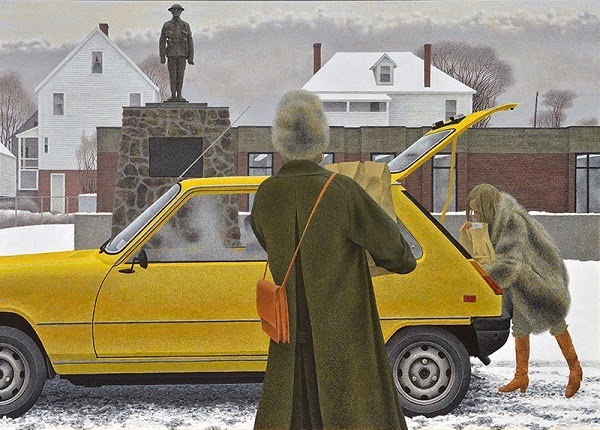 I focused on Stevens because the visual artist I primarily want to dolly in on is the late Canadian painter, Alex Colville, who also spent time at a concentration camp. In April 1945 at Bergen-Belsen in northern Germany, he documented mass graves and the dying prisoners as a commissioned war artist through his drawings rather than a camera. 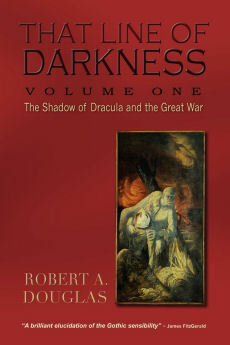 Although his War Diary entries of the camp are terse, even detached as he understandably tries to distance himself from the total devastation around him, Colville acknowledges that “it was a profoundly affecting experience.” But other than nightmares, as reported by his wife Rhoda, he seems not to have suffered the emotional debilitation incurred by Stevens. However, I think it is plausible to argue that his war experience influenced his conservative values, future lifestyle and most importantly, his artistic oeuvre, much of it currently on display at the AGO in Toronto, the largest retrospective of his work ever mounted. Attending the Colville exhibition, it is not surprising to see the masterful Infantry, Near Nijmegen, Holland (1946) which portrays a line of troops stretching into the misty distance, a painting that suggests neither the heroism of war or remotely anything like Fred Varley’s pacific assault on the Great War, For What?. With eyes down or shut, Infantry conveys the tedium, the absence of drama and the burned-out feeling that reflects the weariness of the Canadian soldiers who endured the long arduous slog of dislodging the Germans from the Netherlands. 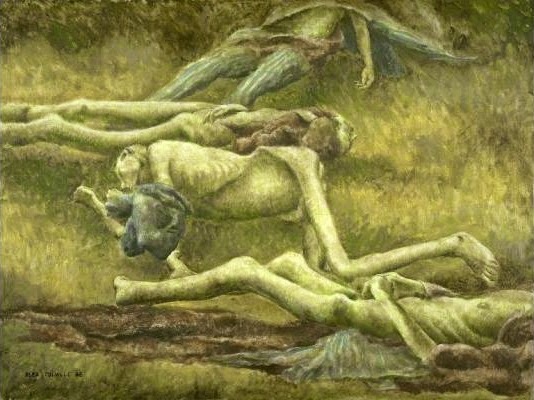 Nearby is the startling watercolour Bodies in a Grave, Belsen (1946) that depicts emaciated bodies in a pit. Colville imbues it with a gentle, dreamlike quality, in contrast with the horrific newsreel images that we have been accustomed to seeing; its effect today is to suggest that those terrible tableaus have become deeply lodged in our psyches. Given Colville’s time in the Netherlands, where he witnessed starvation during the cold 1945 winter, and in Germany, it is understandable that the artist regarded civilization as a fragile veneer and assumes that evil lurks in the hearts of most people. No wonder Joseph Conrad was one of his favourite writers. Colville’s searing experiences in the war would shape the rest of his life and the nature and subject matter of his art. When Colville returned home to his wife and young child, he and Rhoda made a conscious decision to become rooted and settle in the quiet peace of small town Eastern Canada. The most difficult part of his stay in Europe was that he had become uprooted from his family – hence the importance of the poignant Soldier and Girl at Station (1953) which is, along with the studies for it, on view at the AGO – and it was their commitment not to repeat that experience. Henceforth, the family followed Alex to the University of California in Santa Cruz and Berlin on sabbaticals. Family stability and its comforts, a need for a sense of order and the rhythms of the small town, were not merely alternatives to the adrenaline, pulsation and the potential danger of the big city; they provided a major inspiration for his artistic subject matter and the mathematical precision of his compositions. After the war, Colville’s preoccupation with the normal and the quotidian mixed uneasily with the threat of menace that lurked elsewhere. His wife Rhoda became his chief muse and a frequent inspiration for his paintings in their domestic and local milieus. In addition to other locals, he included his family, himself and their lovingly rendered animals. Indeed, he believed that animals, unlike human beings, were incapable of evil and that they were always alert to outside eruption. Consider the allegorical Church and Horse (1964) in which an actual church that dates from the 1860s near Hastings, N.S. represents the past and is in danger of being destroyed by a charger. 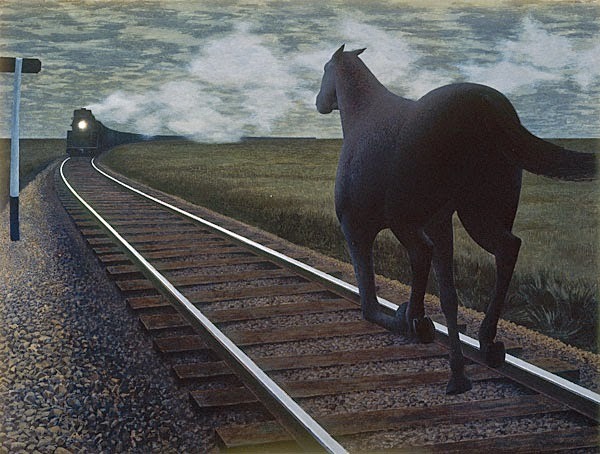 The horse was inspired by the restless riderless horse from John F. Kennedy’s funeral cortege, an event Colville watched attentively on TV and considered one of the traumatic events of the twentieth century. It is perhaps significant that there is only one tombstone in the churchyard. The legacy of Colville will likely reside in how his engagement with small town and rural life that produced intimate paintings of tranquillity coexisted with his belief that this safe world stood on a knife’s edge of potential disaster, a worldview that emerged from the cauldron he experienced in the Second World War. Yet his position on violence and specifically on guns is complicated. He was for years a member of a gun club for target shooting. Then what are we to make of his vastly popular Pacific (1967) that was inspired by his time in California, where he taught for a semester and would have become familiar with the gun culture? A man with his head out of the picture gazes out at the infinity of the ocean; in the foreground is a gun on the table. We note also his watch. Is he contemplating the moment where he will commit an act of violence towards others or himself? The setting seems so peaceful, but Colville captures a taut tension, one that he replicates in his noirish Woman with a Revolver (1987) with a naked woman, whose head is out of the painting, heading upstairs with a gun in her hand. By cropping the heads from these paintings is Colville suggesting an association between a human being’s mindlessness and his engagement with guns as a weapon? Tension or, to be more precise, the ambiguity between idyllic surfaces and darker undercurrents encapsulates his oeuvre, one that explains why filmmakers from Kubrick to the Coen brothers have referenced his work in their films, which the exhibition wonderfully juxtaposes, and explains why Colville, who died in July 2013, was such a seminal Canadian artist.